EDUCATION: in 1966 MD degree at the University of Zagreb; from 1971-1972 as a British scholar, research assistant at the Institute of Obstetrics and Gynecology, University of London; in 1974 specialist in obstetrics and gynecology; in 1977 PhD degree. PRESENT POSITION: professor of obstetrics and gynecology, Medical School Universities of Zagreb and Sarajevo. Rector of Dubrovnik International University. PUBLICATIONS: peer review articles – more than 450; books (written or edited) - 111; invited lectures at major international meetings - more than 700; MSc thesis supervisor - 52; PhD thesis supervisor - 28. His papers have been cited more than 5.350 times in Science Citation Index. AWARDS, HONORS AND ACHIEVEMENTS: National Prize for Young Scientists (1971); Croatian national award "Rudjer Boskovic" for scientific work (1985); "Josip Juraj Strossmayer" Prize of Academy of Science and Arts of the Republic of Croatia for the scientific book (1990); The Prize of Academy of Science and Art of the Republic of Croatia for the achievements in medical science (1994); Prize "Europski krug" given by European Movement - Croatia (1996), Prize "William Liley" for the best scientific paper from fetal diagnostics and therapy (1998); "Maternity Prize" given by European Association of Perinatal Medicine (2000), and Presidential decoration "The Order of the Croatian Starr with the Effigy of Rudjer Boskovic" (2001); "Pavao Culumovic" Prize of Croatian Medical Association (2003), Erich Saling Perinatal Prize (2011). 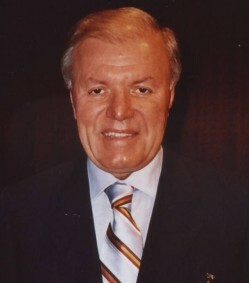 He is a regular member of European Academy of Sciences and Art, International Academy for Human Reproduction, Italian Academy of Science and Art of Reggio Puglia, Academy of Medical Sciences of Catalonia; honorary member of American Institute of Ultrasound in Medicine and Biology; foreign member of Russian Academy of Medical Sciences. 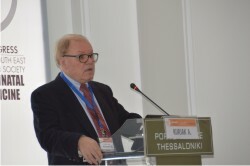 Presently, he is Past President of World Association of Perinatal Medicine; coordinator of Educational Committee of World Association of Perinatal Medicine; vice-president of International Academy of Perinatal Medicine and Fellow of World Academy of Art and Science; Fellow of Academy of Science and Art of Bosnia and Herzegovina; director of Ian Donald Inter-University School of Medical Ultrasound. Editor-in-chief of Donald School Journal of Ultrasound in Obstetrics and Gynecology. Doctor Honoris causa - Universities of Banja Luka, Budapest, Barcelona, Bucharest, Athens, Montevideo, Medical University Pirogov in Moscow. He is honorary member of 15 international societies. Member of Editorial board or editor in chief of several international journals.